It’s been a busy week for Team Nova with our Vertical Slice presentation quickly approaching. With next Friday marking the end of our Pre-Production quarter we’ve been working as fast as we can to finish our demo. To start our week off we designed and then implemented the final half of our demo level. Though our final game is meant to consist of several levels, our current demo is a conglomeration of many level specific aspects into one. In addition, our game also follows a very subtle story that we plan to reveal in cutscenes. We are fortunate to have a very talented storyboard artist from SJSU working with us who was able to deliver a rough animatic for our opening cutscene. While we won’t be moving into full color before our presentation we plan to have that animatic integrated into our game as part of the demo. Finally on Thursday we were visited by Brian Allgeier from Insomniac Games who gave an amazing talk to our class and playtested all of our games. We received some very useful feedback on what he liked about our design as well as what we could refine more. We really took his advice to heart and are eager to make our game the best it can be. So despite all the stress, we’ve been making quite a bit of progress this past week. With judgement day less than 7 days away we are looking to finalize our design and work out all of our bugs. This coming week will be a tough one for all of us at Team Nova, but after three months of Pre-Production we feel we can handle anything! Nova has reached a point where all the features are implemented for the vertical slice. We’re slowly getting the exact feel of Nova. We’re planning to show a glimpse of the entire game in the vertical slice. We’re saving the major feel part and features for the production stage. Now, since we’re fortunate enough to be one month ahead of schedule, we have decided to go beyond and implement stretch goals. We’re using this extra time to implement more specific features of the game. This week we plan to have a complete demo level as well as some preliminary cut-scenes designed by our talented artists. Though short in length, each cut-scene will reveal a small section of story that we hope will draw the player deeper into the lore of our game. These cinematics are key elements of the story of the game. We’re glad that we could make these in the vertical slice. They will give the finishing touch to our already implemented gameplay. We have also been working on the stability and feel of the overall system. Investing time into the underlying system has paid off in the implementation of level which has been taking less and less time. Also it means we can change mechanics and test new ideas quickly without having to worry about other elements in the game breaking. Having this robust system for Nova will let us design and implement levels in production quickly. There is one more important element to the game – a spiritual guide also known as the Butterfly. We’re lucky to have our talented force of artists and sound designers who are willing to give us all the assets we need for implementing these stretch goals. With the addition of these new features our game has gained a deep, enriching story that will provide a unique experience for our player. As our game continues to evolve we will bring you more insights on our final days of pre-production and our ever approaching Vertical Slice presentation. Until then, keep stretching your goals. Last week we mentioned evolution procedure of Nova. Well, if our lead character is evolving, so is our forest. We’re trying different styles received from the artists to finalise the one that matches the feel of Nova. So far, we’ve implemented and tested almost all the features for the vertical slice. The first being abilities obtained from seeds, such as double jump and plant regrowth, and obstacles, such as embers and spikes. Most of the gameplay for our first playable is in to the point where we can say 90% of the vertical slice is done. So now what comes next? Now comes the time to complete that last 10% of the game. Giving the finishing touch to the game is as important as getting all the features in the game. Our main focus for the game is now to etch out the exact feel of Nova. Getting the right emotion out of our player is our number one priority for this week’s playtesting. But how do we put that feel in the game? There is more than one way to do it. Applying correct animation can be one way. Doing all math to carry out the exact mechanics we need for the movement of Nova and all the other game entities, can be another. But the most important element we have is the art we’re getting from our talented artists. Together all three of these will make our game a unique experience. That’s the emotional aspect of Nova. We’ll see how many people can relate to Nova’s feelings this week. Until then, stay true to your feelings. Team Nova is back with some exciting news for Nova Fans! Nova is going through an evolution process to make her more unique. Usually evolution procedure takes years. We took some more days of this week to complete the first stage of evolution. Thanks to our perceptive team of artists, this process has been moving much quicker. Nova’s transformation came about by tweaking different lines on Nova. As expected, the results turned out to be spectacular. Next we had Nova done in a few different pastel palettes. We might even end up using a few color variations for different levels to create a particular feel throughout the game. We’re thinking to stick with this new Nova. We’re very impressed by the artwork and unbelievable understanding of our artists. They catch Nova’s feelings as if they’ve known her for ages. And we believe they will help us emulate that understanding in players’ minds. We’ve also implemented some new features in Nova’s gameplay. We’re planning to merge our two different regrowth codes to get the best results. Now, Nova can regrow a broken branch and walk over it to reach the other side of a tree. But, when you proceed, there is always some hindrance to stop you from moving ahead. For Nova, it is the embers of the once living forest. As she makes her way further forward she will have to navigate around trees that still burn. These burning pieces are an invitation for Nova to join the rest of the forest. We should try our best not to fall for it. Overall that’s the first stage of evolution. We’ll come up with more new and exciting features for our fans. Until then, keep pushing forward and try not to burn out. Great news for Nova’s fans!!! We officially have Nova’s first playtest ready!!! It begins in the forest some time after the fire. What’s left of the trees now stand black and broken, but despite such destruction some signs of regrowth are starting to poke through. 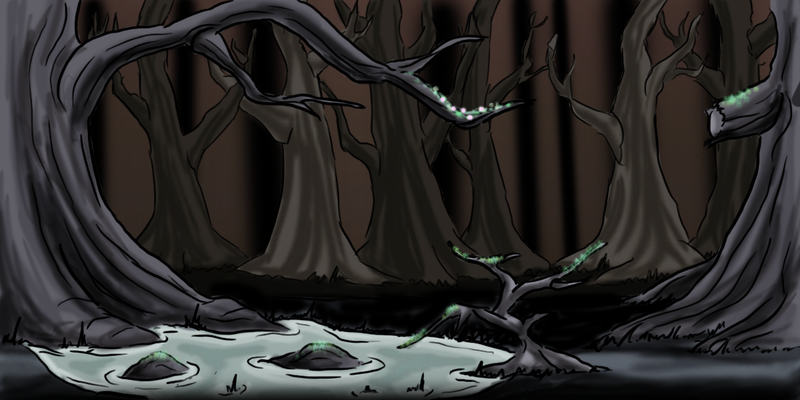 Nova, the last of the forest sprites, has survived but not without injury. She has been left drained of her original power but still must struggle on. In this playtest she is confined to running, jumping and climbing. Her goal is to reach a seed that will partially restore her former abilities. This is completed by exploring a small portion of the forest, finding her way over a stump blocking the path, climbing a tree, and then leaping onto a precarious branch where the seed lies. Through these tests we hope to collect useful feedback about Nova’s movement style, in game physics, and any player frustration. This playtest should take 1-2 mins on average. In the near future we will be working on new iterations of our first playtest with improved mechanics each time. We also got to know the team of artists who are going to give our game a unique look. Each artist is currently a student in the SJSU art program. Each artist is insanely talented and we’re happy to have them on board. By some random happenstance one of the first things they learn to draw in their program is trees. Feels like a match made in heaven for us. Anyways, we are expecting their first concept art sample soon. Then from there we’ll hand off some notes and begin finalizing the art style. We are also going to continue working on Nova’s basic movements until we are comfortable with how she feels in the given space. This will be an ongoing process as it is a collection of small things that take a platformer to the next level. 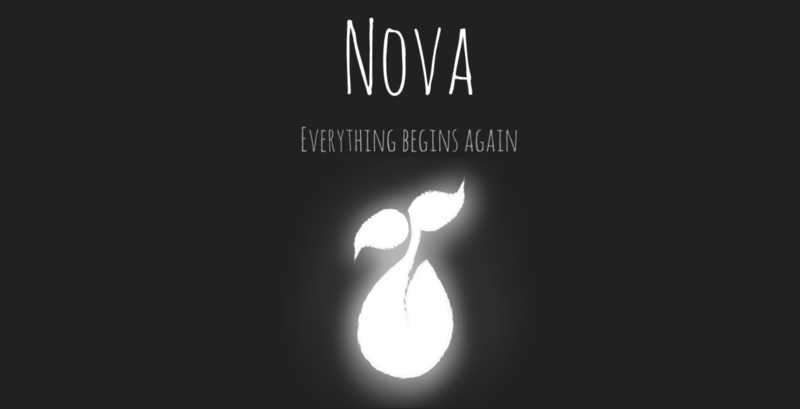 Join us in the journey of making Nova distinctively adorable. This week was pretty stressful for Nova. We’ve had a bunch of things going on parallelly. We’re planning to work extra hours on weekends. We have our tutorial design ready. We’re working on detailing the tutorial concept frame-by-frame. We have planned out a sequence in which we are going to implement the features. We started working on our first feature- Double Jump for Nova. It feels magical when Nova takes flight in the sky and back comes down to the earth. We’re working on exact feel we want in Nova’s Double Jump at the moment. Each movement of Nova defines the character, so we are paying special attention on minute details of Nova’s game physics. By the end of this week, we’re going to make a final decision on whether we should go for sprite-sheets or puppet animation to make Nova come alive. Design for the Demo level has also begun. For now it is just a rough on paper, but as we go through several edits we will ideally be testing out a few puzzles and obstacles in the near future. In addition to the Demo level, the beginning Tutorial continues to go through changes. It is very important to us that we have a very clear direction in the game in both the stories and visuals. In this revamped Tutorial we want Nova to be literally climbing into this once familiar world she had called home. She begins at the bottom of a shallow pit, covered in ash, and unaware of what lies above her. We have designed puzzles that will eventually lead our player out of this pit where they will have the first glimpse at the destruction wrought by the fire. This way we hope to bring emotion into our game with not only the art style but also how it’s revealed to the player. 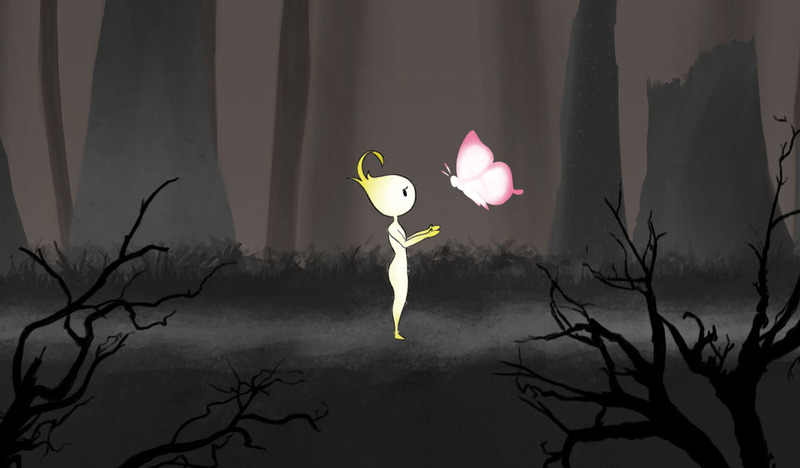 At the beginning of this week, we decided the concept for our First Playable, which will be ready by the end of March. The First Playable will consist of Tutorial plus Demo Level. This will give a clear idea of how the entire game will look, by showing some percentage of the actual gameplay. Right now, we’re working on Nova sprite-sheets for Walk, Run, Jump cycles. And we are simultaneously, testing those sprite-sheets in Unity, to make sure those functions work with the controllers. We have decided to go for sprite-sheets as well as puppet animation for Nova as that will help in representing different abilities performed by Nova. The scene now parallaxes based on distance from the camera. At this point it looks hand draw and dark. You can see the obvious set pieces and layers but not in a bad way. It looks like a stage with props on it. It may become part of the aesthetic, almost like a shadow puppet show. We are also keeping our demo videos ready along with the description of different art assets, so that it will be easier for the team to implement those features in Unity. The demo videos for now are an ongoing process and consist of short animatics less than 10 seconds. Each animatic contains one ability being used in a various style. At the moment we are focusing on the double jump ability with one full animatic displaying the use of a flying dandelion to make such a jump. The player produces this flower mid jump and then is dragged further upward with the aid of wind acting upon the dandelion. Soon to come will be platform jumps, regrowing plants, and obstacle effects on our player. Today was our first presentation in front of the artists. The people who are going to give Nova a look that you are all waiting for. We got a chance to meet a bunch of talented people from San Jose State University. Some of them are going to help us bring life to the Forest for the next 9 months. They seemed to ask really interesting questions during the presentations. We are looking forward to work with them. So far we’ve finalised our potential art assets that we’re going to need from the artists: abilities, obstacles, and stretch goals like creature obstacles. We’re going to lock down the list soon. As far as the animation is concerned, we are keeping both options open for now: Sprite-sheets and Puppet animation. We’ll decide which one we should go for after testing. We are trying to make sure we have a strong reason to finalise one over the other. We did the same while choosing the software for the game. We went over a bunch of 2-D Game Engines, listed down our top 3 and then finalised one that is best for the game requirements. Since we are in the pre-production phase we are going over the design, making changes, and testing new ideas. And, as Mark Cerney says, it’s gonna be a chaotic process, but we’ll do it in a systematic way with Scrum-light. We’re preparing to bring the life back in this devastated land by herding cats.